Our question : how do brains and machines learn to predict the future? 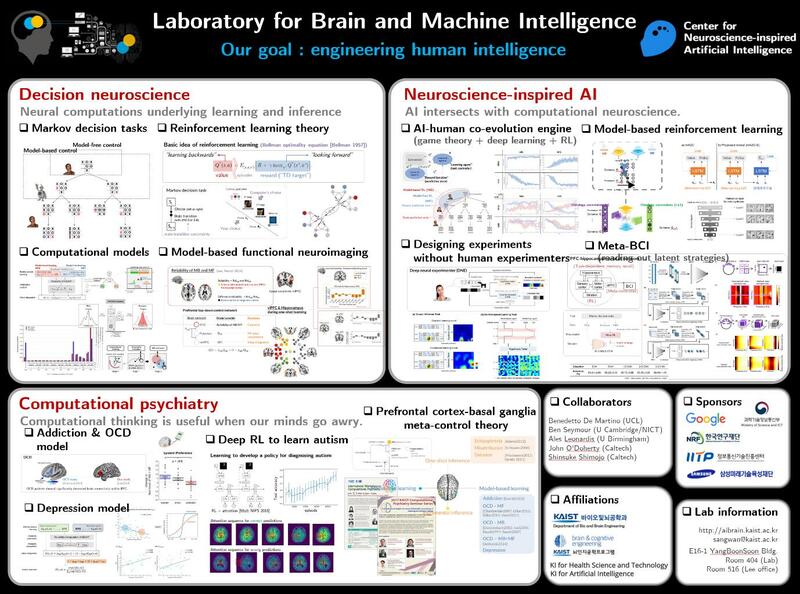 A central goal of both artificial intelligence and cognitive neuroscience is to understand human cognitive processes that are flexible enough to perform a wide range of tasks. In this regard, it is becoming widely recognized that hierarchical control of learning systems may be both the way the human brain actually works and the optimal design for an artificial intelligence that operates under constraints on performance, time, and energy. Our goal : we aim to understand learning, inference, and cognitive control on the deepest level. Recent studies have investigated neural mechanisms of different types of learning through a combination of various techniques measuring brain activity with computational learning models. However, little is known about how the brain determines which of these sub systems guides behavior at one moment in time. Our research interests are to develop a neurocomputational theory of how the brain, arguably at the higher level in the cognitive hierarchy of the prefrontal cortex, allocates control over behavior to multiple types of brain’s subsystems for learning and inference. We believe that understanding the brain opens the possibility for making scientific and technological advances. (4-Human Intelligence) appreciate human intelligence that possesses remarkable abilities to deal with trade-offs between performance, energy, and time. O. Choung, S. W. Lee, and Y. Jeong, “Exploring Feature Dimensions to Learn a New Policy in an Uninformed Reinforcement Learning Task,” Sci. Rep., vol. 7, no. 1, p. 17676, 2017. S. W. Lee, T. Yi, J.-W. Jung, and Z. Bien, “Design of a Gait Phase Recognition System That Can Cope With EMG Electrode Location Variation,” IEEE Trans. Autom. Sci. Eng., vol. 14, no. 3, pp. 1429–1439, 2017. S. W. Lee, Y. S. Kim, and Z. Bien, “A Nonsupervised Learning Framework of Human Behavior Patterns Based on Sequential Actions,” IEEE Trans. Knowl. Data Eng., vol. 22, no. 4, pp. 479–492, Apr. 2010. S. W. Lee and Z. Bien, “Representation of a Fisher criterion function in a kernel feature space.,” IEEE Trans. Neural Networks, vol. 21, no. 2, pp. 333–339, Feb. 2010. S. J. 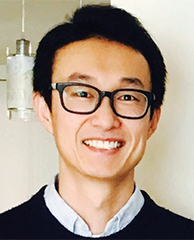 An and S. W. Lee , “A Study on the Exploration-Exploitation Dilemma using an uncertainty-driven state space learning algorithm,” J. Korean Inst. Intell. S. W. Lee , T. Yi, J.-W. Jung, and Z. Bien, “Design of a Gait Phase Recognition System That Can Cope With EMG Electrode Location Variation,” IEEE Trans. Autom. Sci. Eng., vol. 14, no. 3, pp. 1429–1439, 2017. D. Kim and S. W. Lee , “Dirichlet process-based arbitration control of reinforcement learning,” in The 5th International Conference on Robot Intelligence Technology and Applications (ICRITA 2017), 2017. S. W. Lee and J. P. O’Doherty, “The role of task complexity during arbitration between model-based and model-free reinforcement learning,” in The Multi-disciplinary Conference on Reinforcement Learning and Decision Making, 2017.